This is an alien with the same programming as the Dinkie Dino. 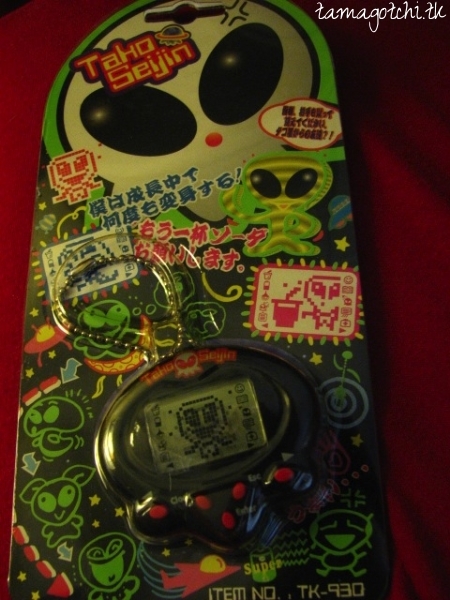 It basically has all the same stuff except that the food is a little more "alien", so to speak. 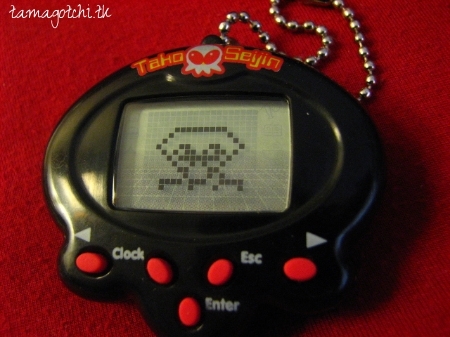 It eats batteries, for one thing lol Yet interestingly enough still eats fish, fruit and ice cream. The animations of the pet are not particularly cute in comparison to the Dino and the Yuki Penguin, but I would still say it is a high quality pet, especially for those who want a more masculine pet, as opposed to something super cutesy. The shape of the shell is very unique and the buttons are set up a little confusing, but function just like a Dinkie Dino. The shell is made of a nice quality of plastic and the screen is very big and protected by an outter piece of plastic that makes it look glossy and nice. There's not really much else I can say about this pet since it is basically the same as every other pet in the Dinkie Family. I got mine for $14 on eBay recently. Pretty good price for a vintage virtual pet. Get it for that price while you can because it won't stay that way for long.